Once the Poverty Reduction Strategy Paper (PRSP) was adopted by the Armenian Government, preconditions for institutionalization of the participatory process in Armenia were initiated. The clear mechanism of participatory process was created. Reluctance of the Government towards participatory mechanisms and insufficient public participation put in doubt effectiveness and transparency of public participation process in PRSP implementation. 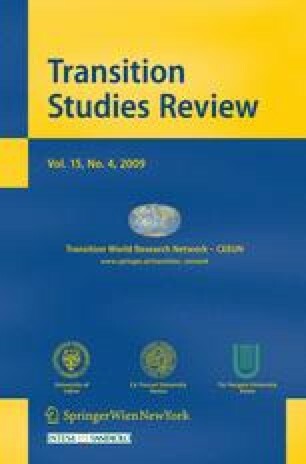 This article discusses the Armenian experience of the institutionalization of participatory process within PRSP framework presenting achievements, failures and obstacles of this process as well as attempts towards creating PRSP new Social Partnership Institute as an advanced step of institutionalization of the participatory process.